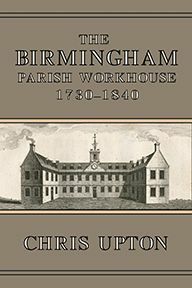 Very little is known of the first workhouse in Birmingham, which was located in Lichfield Street. Even the assumed date of its building, given as 1733 by William Hutton, Birmingham's first historian, is wrong. 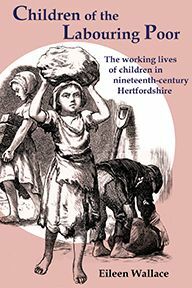 This book is the first attempt to write a history of the workhouse and the ancillary welfare provision for Birmingham, frequently referred to as the ‘Old Poor Law’. The first workhouse remained in operation until 1852 when a new building with its infamous ‘arch of tears’ was constructed in Winson Green and the original building's history has been overlooked as a result of the association of the word ‘workhouse’ with Nassau Senior and Edwin Chadwick's ‘New’ Poor Law, implemented in 1834. 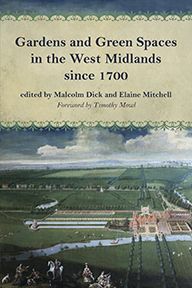 This study of welfare in Birmingham in the century before the Poor Law Amendment Act reveals some surprising facts which fly in the face of the scholarly consensus that the old system was incompetently administered and inadequately organised. A workhouse infirmary opened in the 1740s, long before the General Infirmary in Summer Lane. The Overseers of the Poor built a well organised ‘Asylum for the Infant Poor’ before the end of the eighteenth century. Work was found for the able-bodied. The insane were housed separately in specialist facilities. Food, although dreary, was certainly adequate. The records of the Overseers and the Poor Law Guardians reveal a complex balancing act between maintaining standards of care and controlling spending. Although there was mismanagement, most famously in 1818 when George Edmonds exposed embezzlement by workhouse officials, the picture which emerges will be familiar to our age when welfare services struggle to meet public needs with limited budgets. Chris Upton was a historian of the West Midlands for twenty years. 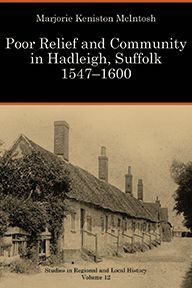 He championed the restoration of many Midlands heritage sites, wrote copiously on the history of the region and was Reader in Public History at Newman University. 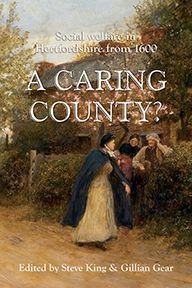 His work on the history of working-class housing, which led to the restoration of the Back to Backs in Birmingham, now managed by the National Trust, ignited his interest in the treatment of the poor in the first Birmingham workhouse. Ten years of painstaking archival research has produced this astonishing recreation of the physical and mental world of the ‘lower orders’ in the eighteen- and early-nineteenth-century city. Chris Upton died in 2015 and this book has been edited by his wife, Fiona Tait, and his colleague at Newman, Dr Ian Cawood.